After long school days, there are many evenings that I hardly want to walk into the kitchen and prepare an elaborate meal. Neither do I want to pick up my phone and order for a takeaway nor a Pizza delivery. All that I do is laser eye scanning inside my fridge, store cupboards, canned food stock ( very rare) if any and quickly plan up for the meal. It could be like a Hummus Sandwich, Vegetable Sandwich, Toastie Sandwich, a pasta stir fry, paratha’s or anything .. but something really quick with all the available ingredients just at home. One of the days, coincidentally when I was sailing on the same boat I received an email about Summertime Smorging with Castello Cheese. A little later after we finished our dinner , I sat alongside my favorite corner on the left hand side on my Leather Couch.On further reading I realised, we are actually Smorging !! So what does it mean ” To Smorg” ? 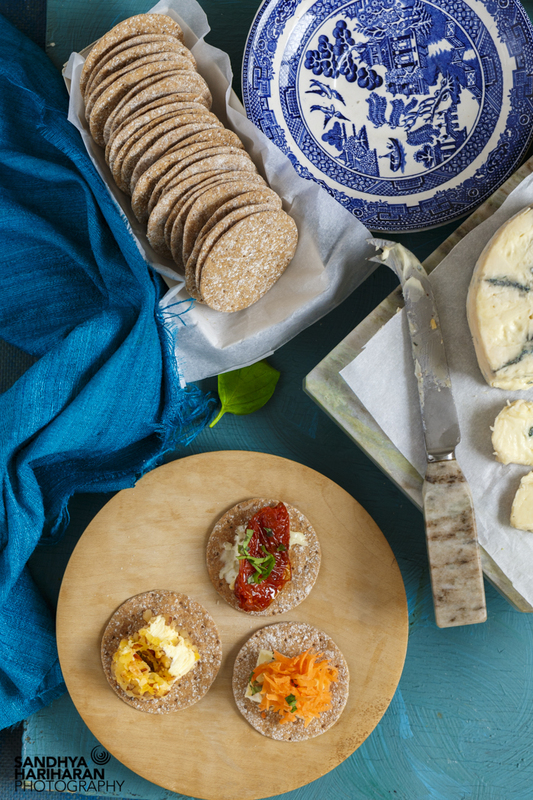 Based on the Scandinavian Smörgåsbord, Smorging is a relaxed style of eating that allows you to enjoy your favourite cheese with a combination of different tastes and textures. To learn more about it, I went on with an elaborate search and here is what I found. Smörgåsbord is a type of Scandinavian meal, originating in Sweden, served buffet-style with multiple hot and cold dishes of various foods on a table.It is typically a celebratory meal and guests can help themselves from a range of dishes laid out for their choice. In a restaurant, the term refers to a buffet-style table laid out with many small dishes from which, for a fixed amount of money, one is allowed to choose as many as one wishes. All that you need to do is to simply dive into your fridge and pantry cabinets to pull together a meal with whatever essentials is available to compliment with cheese and the left over works well . Castello sent me a guide along with a selection of cheese to try my hands on smorging. CASTELLO’S How to Smorg Guide ? Grab a selection of bases such as crusty bread, slices of rye bread, crisp breads, crackers, or toast. Plan the rest of your ingredients, or root around and see what you can find to make up your board! Try to find a range of tastes to include: salty, sweet, sour, and umami (a savoury taste). And try to include a range of textures too so that there is a balance between crunchy and soft. It is the combinations of tastes and textures that make each and every Smorging session unique! Choose your favourite Castello cheeses and get them out of the fridge, along with some butter, to warm up for 30 minutes. Present your selection on some kind of platter – a wooden or slate board is perfect, or even just a large plate. Most importantly, remember, you can’t go wrong! Have fun with it and make the best of what you’ve got. Don’t be afraid about trying out new combinations and see what happens! Read on to see how I paired my Cheese !!! Yesterday was one of the perfect day’s to get smorging in real sense.. When I actually dived into my fridge- freezer , all that I had was a selection of cheese, Pesto sauce, some carrots, cucumber, tomato, oven dried tomatoes and some herbs. Taking this as the perfect opportunity, I paired them in combinations.. Here’s my take on it ! Basil Pesto with a topping of combination of vegetables – Cucumber, Tomato and garnish with mint. Season with salt and pepper as required. Thanks soo much Dolphia.. Simple food sometimes are absolutely comforting !! It's the effort and the pure enjoyment that adds on too. Yeah!! Say cheese Ambica:) thanks soo much dear. Would love to see your take on it . Thanks ShubhA.. It's just bringing together the right ingredients in right combo..